"Just tried it again & got the same error message. 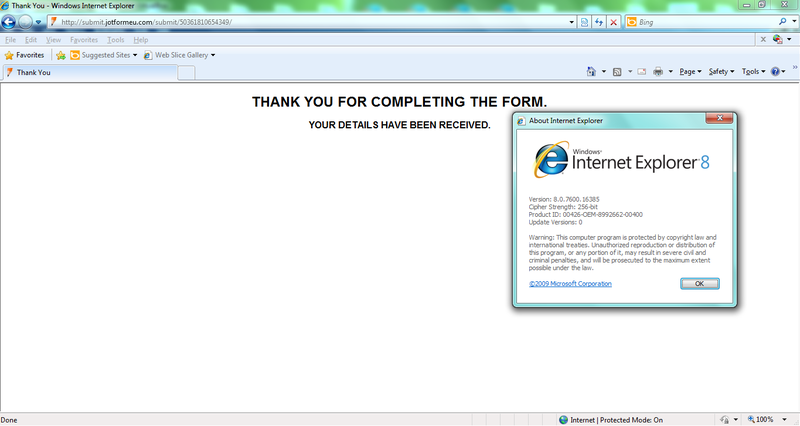 I then completed it again but this time using chrome instead of IE, it worked fine....."
Obviously I need to rectify this before I continue using Jotform, please let me know what I can do? 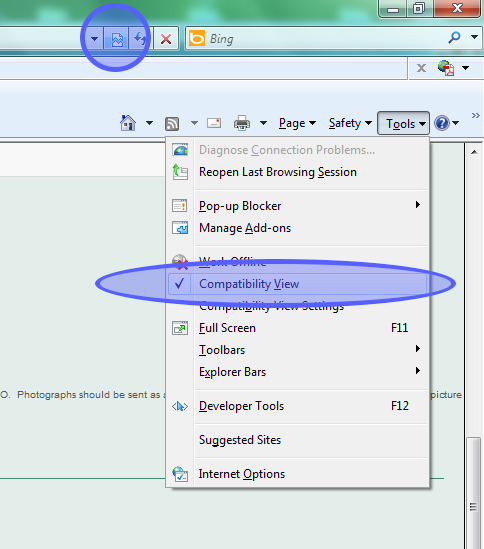 Now what I believe was the cause is that Microsoft is pushing their compatibility option "to make the websites work better even on older browsers"
Now this option is always making it work even worst in my tests, disabling some features on newer browsers, while they are working properly on old ones. I believe that this is the cause of the issue that your client had experienced. Once that option is turned off many websites would start functioning properly, including jotforms on them. I should note that at times this option will cause the jotform to not work, then at others it will not impact it, so I always recommend disabling it if possible.